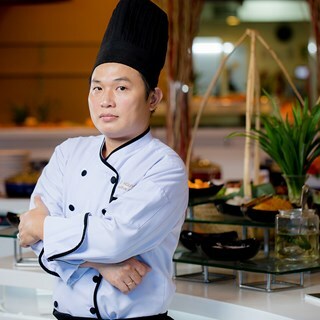 Novotel Nha Trang’s executive chef, Nguyen Le Hoang Phat welcomes you to The Square restaurant with his professional team of culinary experts. 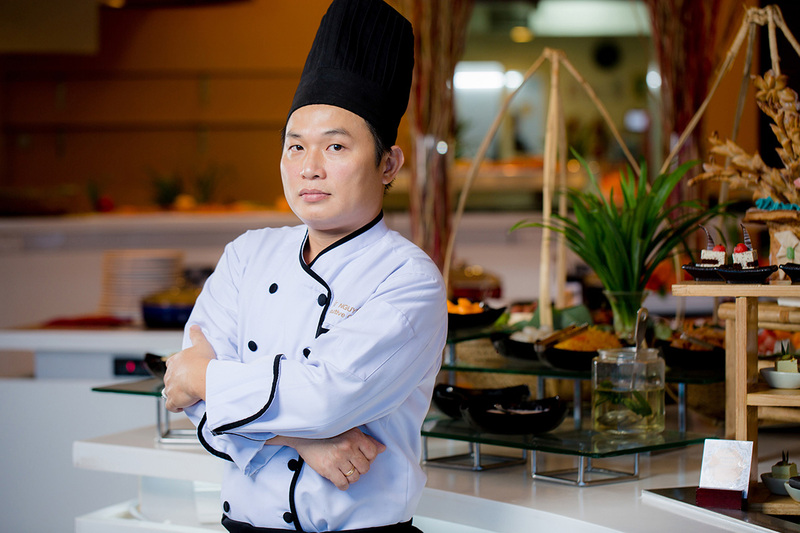 At The Square restaurant you can enjoy fresh ingredients in dishes influenced by local and international cuisines, expertly paired to create mouthwatering experiences for all guests. 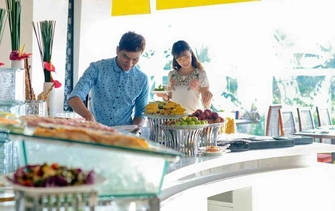 The Square’s themed buffets bring something new to both sides of the globe with local and imported ingredients, from fresh seafood platters to traditional French cuisine infused with Vietnamese elements. There is something for everybody at The Square. 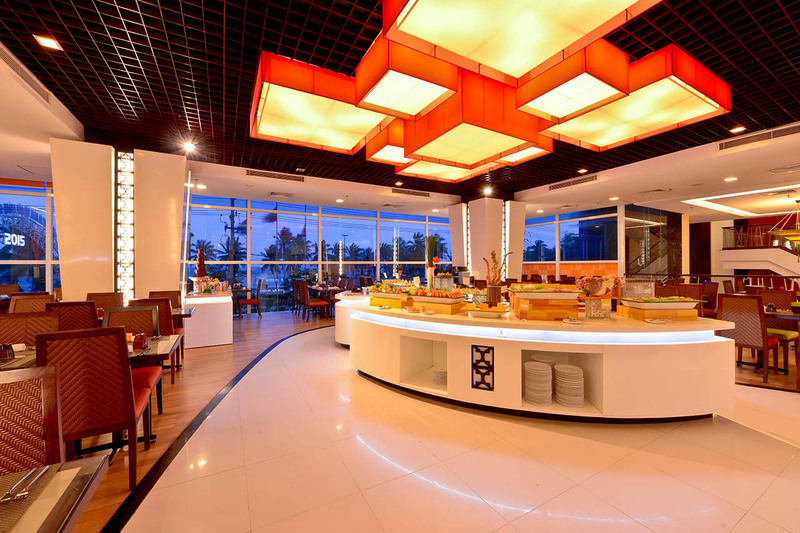 The restaurant is located on the first floor of Novotel Nha Trang hotel. Workers didn’t offer anything. Had to ask for things for it to be given or done. Even just getting drinks nothing was offered. It was a good experience. The staff was friendly. I have had dinners at Square years ago. Last time I think the quality is not as good as before. I give 5 stars for food&drink, but drink selection wasn't good enough - only one type of beer. Service and drinks excellent. Meat section was very nice. The seafood was all overcooked and therefore rubbery. The Sushi were very dry and some were made with tuna from the tin!?!? We had dinner at the Square on our last night there. My husband had the seafood buffet and he enjoyed it so much. There was so much food and all were so good. I am a vegetarian and I ordered a separate dish of lemongrass mushroom tofu. I also ordered ice cream for desert. We loved the food, the service and the friendly atmosphere at the Novotel Square restaurant. There was more than enough food for the 2 of us. Plenty of selections. Raw oysters were fresh and delicious! Totally worth the money. The night before the place was busy. On the night we went, the atmosphere was a lot calmer. Not as many guests. We definitely enjoy our dinner very much! Thank you for delicious meal and great service! I've been to several buffets in Nha Trang and I must say that I am very pleased with The Square at Novotel. The one thing which left a very big impression on me was the service provided by the kitchen staff. As a hospitality professional working in this industry, I was amazed when the chef at the bbq station greeted me and offered me all the dishes he had and ways that he could cook them. I was very humbled to be treated so nicely by a kitchen staff as being a 'local' vietnamese, I do not often receive this kind of treatment at other places I've been to. I don't remember their names but the two gentlemen who were working at the bbq station that night were extremely kind and I must applaud them for their exceedingly good service. Although the food variety was very limited, the price was very appropriate. Thank you The Square for your great hospitality! Good service, nice people. Not many kinds of Seafood, but it's still good. Wide range of quality seafood and serving methods (raw, BBQ, cooked). Good service overall. Was a bit quiet on a Sunday night, and hence food not replenished. Recommend allowing customers to grab their own drinks from the fridge. Lobster and crab buffet offers an especially wide range of delectable fare.